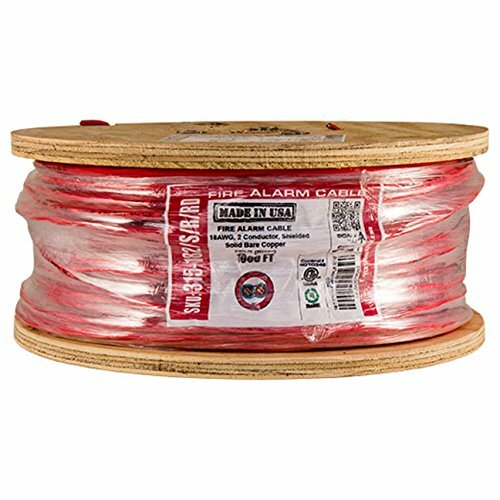 This is a riser rated 18AWG 2 conductor shielded fire alarm cable. It's conductors are made from 100 percent solid bare copper and jacket material is PVC. Applications include smoke alarms and detectors, pull boxes, burglar alarms and addressable fire alarm systems. This product is designed to comply with the following standards: NEC Article 760, UL subject 1424, NFPA 262, RoHS and listed by ETL to be FPLR (Power-Limited Fire Alarm Riser Cable). Temperature rating is -20 to +60 degrees C. This product is made in the USA. Brand for this product is Vertical Cable. If you have any questions about this product by Vertical Cable, contact us by completing and submitting the form below. If you are looking for a specif part number, please include it with your message.